Hypothesis Timing of sentinel lymph node dissection (SLND), before or after preoperative chemotherapy (PC), for breast cancer is controversial. Design Single-institution experience with SLND before PC. Setting Data from prospectively collected Yale-New Haven Breast Center Database. Patients Fifty-five SLNDs were performed before PC for invasive breast cancer in clinically node-negative patients between October 1, 2003, and September 30, 2007. The results are compared with patients who underwent SLND and definitive breast and axillary surgery before chemotherapy (control group; n = 463 SLNDs). Interventions If sentinel nodes (SNs) were negative before PC, no axillary lymph node dissection (ALND) was performed. If SNs were positive, ALND was performed after PC at the time of definitive breast surgery. Main Outcome Measures Sentinel node identification rate, false-negative rate, rate of positivity, and rate of residual disease in axilla. Results Of the 55 SLNDs performed before PC, 30 (55%) had a positive SN. The SN identification rate was 100% and the clinical false-negative rate was 0%. In the control group of those with a positive SN, 55% (56 of 101 patients) had no additional positive nodes, 25% (25 of 101) had 1 to 3 positive nodes, and 20% (20 of 101) had 4 or more positive nodes. In the group with a positive SN before PC, 69% (18 of 26 patients) had no additional positive nodes after PC, 27% (7 of 26) had 1 to 3 nodes, and 4% (1 of 26) had 4 or more nodes. Among the SN-positive patients, a pathologic complete response in the breast was found in 4 of 18 patients who had a tumor-free axilla after PC. Conclusions Sentinel lymph node dissection before PC allows accurate staging of the axilla for prognosis and treatment decisions. Despite downstaging by PC, a significant percentage of patients had residual nodal disease in the axillary dissection. 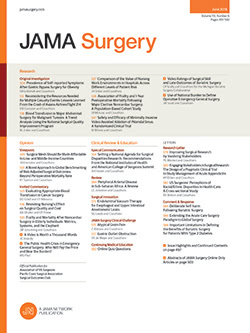 One of the most important achievements in the surgical management of breast cancer has been validation of the sentinel node (SN) hypothesis.1-7 Acceptance of sentinel lymph node dissection (SLND) as an accurate and minimally invasive approach to axillary staging, however, has raised new questions about who should undergo SLND and when. One area of controversy is the timing of SLND relative to preoperative chemotherapy (PC): Should SLND be performed before or after PC? Traditional management of the axilla after PC is axillary lymph node dissection (ALND). For early-stage breast cancer, SLND has replaced ALND as a staging procedure and is associated with low regional failure rates and low morbidity.13 As PC is used to treat smaller tumors with clinically negative nodes, it is of interest to avoid ALND in as many of these patients as possible.14The use of PC downstages the axilla to a histologically negative status in 16% to 23% of patients.8,11,15 Recent publications report the feasibility of SLND after PC to reduce the number of patients who require ALND.16-37 Lymphatic mapping, however, has been studied primarily in patients who have not received PC, resulting in considerable debate about the timing of SLND. The alternate approach is to perform SLND before PC for staging, prognosis, and treatment planning.33,38-43 The purpose of the present study was to report a large single-institution experience with SLND performed before PC, and to compare the results with those of patients treated in a more traditional manner with definitive breast and axillary surgery before any postoperative chemotherapy. Patients with invasive breast cancer and clinically negative axillary lymph nodes who underwent SLND before PC between October 1, 2003, and September 30, 2007, were identified in the prospectively collected Yale-New Haven Breast Center Database. Tissue diagnosis was made by core needle biopsy. If N1-2 disease was suspected clinically or by imaging studies, axillary ultrasound and fine-needle aspiration or core needle biopsy were performed. Patients with ductal carcinoma in situ, stage IV disease, inflammatory carcinoma, clinical N1-2 disease, or a lymph node fine-needle aspiration or core needle biopsy specimen that was positive for tumor cells were excluded. Patients were staged clinically according to American Joint Committee on Cancer criteria.38 Patients who had invasive breast cancer, clinically negative nodes, and SLND before any postoperative chemotherapy constituted the comparison group. Most of these patients received postoperative adjuvant chemotherapy or hormonal therapy, although a few low-risk patients received no systemic therapy. The study was approved by the Yale University institutional review board in New Haven, Connecticut. Multidisciplinary review was undertaken before treatment recommendations and sequencing alternatives were determined. Patients selected for PC underwent SLND before chemotherapy, and a clip was placed in the tumor and/or the skin overlying the tumor was tattooed to identify the area of disease.44 Surgical resection of the tumor was performed several weeks after finishing PC. If the SN had been positive before PC, a completion ALND (CALND) was performed after PC. If the SN had been negative before PC, no CALND was performed after PC. Most patients received an anthracycline-based regimen followed by a taxane and hormonal therapy for steroid receptor–positive disease. Herceptin was administered if the immunohistochemistry result was 3+ for Her2/neu or for fluorescence in situ hybridization gene amplification. Patients undergoing breast conservation received 46 to 50 Gy to the whole breast as tangential fields (to convert gray to rad, multiply by 100). The boost to the tumor bed ranged between 14 and 16 Gy. The SLND was performed after intraoperative intradermal injection of 250 μCi of filtered technetium Tc 99m–labeled sulfur colloid overlying the tumor.45 In selected cases, a 1% solution of isosulfan blue (Lymphazurin; US Surgical, Norwalk, Connecticut) or methylene blue was combined with radioisotope. The SN and additional nodes with 10% of the radioactivity of the hottest node were removed. Blue SNs were removed. The SN was evaluated by frozen section and/or touch preparation in the control group and by permanent section in the PC group. Sentinel nodes more than 3 mm thick were sectioned into 2-mm-thick slices along the long axis. After fixation and paraffin embedding, 1 section of each block was evaluated with hematoxylin-eosin. If metastases were not identified, the SN was examined with immunohistochemistry using anticytokeratin antibody AE1/AE2 (Immunolab; Chemicon, Temecula, California). Axillary lymph nodes were sectioned in the same way, fixed, and embedded in paraffin, and a single section of each block was stained with hematoxylin-eosin. Standard statistical procedures were performed with SPSS version 11 (SPSS Inc, Chicago, Illinois). Categorical data were compared by χ2 tests, and means of continuous data were compared with t test (unpaired, 2-tailed). During the 4 years of the study, 55 SLNDs were performed in 53 patients before PC. In the control group, 463 SLNDs were performed at the time of definitive breast and axillary surgery before any postoperative chemotherapy. The patient demographics and tumor characteristics are shown in Table 1. All data refer to procedures except age, which refers to patients. Mean (SE) age was significantly younger for the PC group at 49 (1.0) years (range, 35-65 years) compared with 57 (0.6) years (range, 26-89 years) for the postoperative chemotherapy group. Most patients in the PC group (78%) presented with clinical stage II breast cancer, while most patients in the postoperative chemotherapy group (63%) presented with stage I breast cancer. The mean tumor size was significantly larger for the PC group than the postoperative chemotherapy group, measuring 3.6 cm (range, 1.0-7.5 cm) compared with 1.6 cm (range, 0.1-9.0 cm) (P < .001). Tumor histology was similar for the 2 groups, with most patients presenting with invasive ductal carcinoma. There was a slightly higher incidence of infiltrating lobular carcinoma among the patients in the PC group. The hormone receptor status was more favorable in the postoperative chemotherapy group, while Her2/neu expression was higher in the PC group, but the difference did not reach significance. Two-thirds of the patients underwent lymphatic mapping with radioisotope alone and about one-third underwent lymphatic mapping with a combination of radioisotope and vital blue dye. The outcome of SN biopsy procedures is shown in Table 2. The SN identification rate was greater than 99% in the postoperative chemotherapy group and 100% in the PC group. The mean number of SNs removed was 2.2 for the postoperative chemotherapy group and 2.5 for the PC group. The patients in the PC group were twice as likely to have a positive SN as those in the postoperative chemotherapy group (P < .001) and were also significantly more likely to have multiple positive SNs. Among patients with a negative SN, there have been no axillary recurrences in either group, yielding a clinical false-negative rate of 0%. A CALND was performed in 101 of 109 patients with a positive SN in the postoperative chemotherapy group. Eight patients did not have a CALND because they either had only micrometastases (7 patients) discovered after their definitive surgery or refused (1 patient declined an ALND). There have been no regional recurrences in the patients who did not have a CALND at 21 months of follow-up. In the PC group, 26 of 30 patients with a tumor-positive SN underwent CALND. Four patients had not yet had CALND by the end of the study period because they were still undergoing preoperative therapy. The number of axillary nodes removed differed between the postoperative chemotherapy and PC groups, with significantly fewer nodes retrieved after PC (8.8 vs 12.0; P = .005). In patients who had a positive SN, there was a strong suggestion of axillary downstaging with PC because only 31% had positive non-SNs compared with 45% in the untreated group. Table 3 compares the results of axillary dissection with tumor size and pathological response in the breast. As would be expected, the tumor size in each group was significantly greater for those with positive SNs than negative SNs, and also greater in the PC group than the postoperative chemotherapy group (P < .001 for all comparisons). Among patients receiving PC with a negative SN, 5 of 22 (23%) had a complete pathological response in the breast. Among patients with a positive SN, 4 of 26 (15%) had a complete pathological response, and they were all in the group with no residual disease in the lymph nodes. No patient with positive non-SNs after chemotherapy had a complete breast response. It seems likely that the 4 patients with a complete pathological response may have had nodal disease that was downstaged. If they are subtracted from the group with no positive non-SNs (18 of 26), the remaining rate of 54% (14 of 26) is similar to the rate in the control group treated with postoperative chemotherapy (55%). Surgical management of the axilla, historically by ALND and more recently by SLND, is important for breast cancer staging, adjuvant treatment selection, prognosis, and comparison of outcomes. Lymph node metastasis has traditionally been the most important prognostic indicator. Recent reports, however, have suggested that biologic response to treatment may also be a powerful predictor of outcome.8,10,12 These findings, combined with the associated complications of ALND, have led some surgeons to question when to perform SLND with PC. There are also valid reasons why the false-negative rates may be higher after PC. Tumor presence in the lymphatic channels, perilymphatic inflammation or fibrosis, and regression of metastatic disease in a nonorderly manner may impede flow of radioactive tracer or vital dye or alter drainage circuits.17 The most radioactive node may not be the SN because flow is diverted from the tumor-bearing node to an adjacent unaffected node.47,59 Therefore, the node that receives the indicator may not reflect the remaining lymph nodes. There may be nonuniform sterilization of lymphatic channels and nodal basins in a pattern unrelated to the initial lymphatic drainage pathway, with preferential regression of some metastatic foci and no effect on others, as is seen in the breast.16,18,28,60,61 Just as tumor kill at the primary tumor site is known to be random and patchy in some cases, it is difficult to believe that all lymph nodes would respond to chemotherapy equally well. If the SN has been rendered pathologically free of disease, there is no guarantee that the higher-echelon nodes will also have a complete pathologic response. In one study, SNs and non-SNs were evaluated with serial sectioning and immunohistochemistry.18 After chemotherapy, areas of fibrosis, fat necrosis, histiocyte accumulation, and granulation tissue were seen and metastatic foci were completely obliterated or demonstrated single cells, small clusters of neoplastic cells embedded in fibrotic tissue, or foci in subcapsular sinuses.18 The rate of conversion from SN-negative to SN-positive status with serial sectioning and immunohistochemistry was 20% in that study. After serial sectioning and immunohistochemistry, 18 patients had lymph node metastases for a false negative rate of 17% (3 of 18). These authors raised the potential need for a CALND when extensive PC-induced fibrosis is detected in the SN, even if no viable tumors cells are identified. Acceptance for omitting ALND for patients with negative SNs was advanced by the proof of principle study examining serial sections of non-SNs from CALNDs to prove that the SN accurately predicted negative findings in the axilla.4-7 Before acceptance of the SN as an accurate predictor of negative non-SNs in the postchemotherapy axilla, similar serial section studies of the non-SNs after CALND should be done. The data from Cohen et al18 would suggest that the SN could be sterilized while residual disease may remain in non-SNs. The SN hypothesis has been validated only in the clinically node-negative, untreated axilla. A better understanding of the effect of chemotherapy on tumor-bearing lymph nodes is needed before the SN concept is applied to the axilla after PC. The major advantage of performing SLND after PC is that some patients who have axillary nodes downstaged by chemotherapy can be spared the morbidity of ALND. The extent of this benefit can be estimated from the difference between the 2 groups for axillary positivity in the National Surgical Adjuvant Breast and Bowel Project (NSABP) protocols B-18 and B-27 studies. In the NSABP B-18 study, the percentage of patients with pathologically negative nodes increased by 16 percentage points, from 43% to 59%, in the group receiving PC.15 The addition of docetaxel to doxorubicin hydrochloride and cyclophosphamide in the NSABP B-27 study further increased the pathological downstaging in the axilla.8 Kuerer et al11 showed a 23% rate of conversion to a node-negative axilla after PC. Similar results have been reported by others.33,62 Thus, for patients with positive nodes, about 20% to 30% can be converted to node-negative status with chemotherapy. It is important to realize, however, that a large proportion of the patients in contemporary series of PC already have negative nodes. The studies that report identification rates and incidence of tumor-positive SNs before PC (Table 4) show that 42% to 57% of patients had a tumor-free SN and were already spared an ALND, excluding the Cox et al43 study that looked only at tumors larger than 4.5 cm. The potential benefit of the chemotherapy, therefore, is to downstage 25% of the remaining 40% to 60% for an absolute increase of about 10% to 15%. This estimate is quite consistent with the actual results of the series in Table 5. One concern when SLND is performed after PC is what the long-term local recurrence rate might be in the 10% to 15% of patients who had positive nodes that were downstaged with chemotherapy and not resected. A recent meta-analysis including NSABP B-18 and similar trials has shown that the local recurrence rate in the breast is higher after PC.9,63 If lymph nodes that are downstaged behave similarly, it seems likely that the local recurrence rate in the axilla might be significant. On the other hand, there is controversy about whether a CALND always needs to be performed when the SN is positive. The randomized American College of Surgeons Oncology Group Trial Z0011 was designed to answer this question for the adjuvant setting, but it closed prematurely because of poor accrual.64,65 Several single-institution studies report low rates of regional failure when a CALND is not performed in selected patients with a positive SN before adjuvant chemotherapy.66-69 In the present study, 8 patients did not have a CALND for a tumor-positive SN in the postoperative chemotherapy group. There have been no recurrences in the regional nodal basin in this group. In summary, the advantage of SLND before PC in clinically node-negative patients is accurate staging with high identification rates and low false-negative rates and the assurance that all nodes involved with tumor will be resected at the time of CALND. The axilla is staged and recommendations for preoperative systemic therapy and postoperative radiotherapy can be considered on the basis of pretreatment tumor burden in addition to the molecular profile of the primary tumor.70-75 Many current and future protocols will stratify the extent of the systemic therapy by whether the initial SN is positive. The advantage of SLND after PC is that some patients who have downstaging of nodes by the chemotherapy can avoid ALND. Among the 55 SN procedures performed before PC, there were 25 with a negative SN, and these patients avoided ALND. The favorable pathologic stage was identified before PC treatment was initiated and classified correctly. If the SLND had been performed after the chemotherapy, theoretically another 5 or 6 patients might have been downstaged and could have avoided axillary dissection. However, the prognostic and comparative information that results from knowing that these 5 or 6 patients were originally node positive would be lacking, and the patients might possibly be at higher risk of axillary recurrence. Furthermore, there might have been some risk that 1 of the 8 patients with positive non-SNs could have had downstaging of the SN only and therefore not undergone a therapeutic axillary dissection. Ultimately, a prospective randomized trial would be the best method to decide which of these 2 algorithms of treatment is most beneficial. Correspondence: Baiba J. Grube, MD, MS, Department of Surgery, Yale University School of Medicine, PO Box 208062, New Haven, CT 06520. Accepted for Publication: February 1, 2008. Author Contributions:Study concept and design: Grube, Christy, Higgins, and Lannin. Acquisition of data: Grube, Christy, Martel, Philpotts, Tavassoli, and Lannin. Analysis and interpretation of data: Grube, Black, Harris, Weidhaas, DiGiovanna, Chung, Abu-Khalaf, Miller, Philpotts, and Lannin. Drafting of the manuscript: Grube, Christy, Martel, and Lannin. Critical revision of the manuscript for important intellectual content: Grube, Christy, Black, Harris, Weidhaas, DiGiovanna, Chung, Abu-Khalaf, Miller, Higgins, Philpotts, Tavassoli, and Lannin. Statistical analysis: Lannin. Administrative, technical, and material support: Grube, Black, Martel, Harris, and Chung. Study supervision: Grube and Lannin. Funding/Support: Dr Christy is a Norma Lies Mitchell Interdisciplinary Breast Fellow funded by the Breast Cancer Alliance, Greenwich, Connecticut. Previous Presentation: This study was presented at the 115th Scientific Session of the Western Surgical Association; November 6, 2007; Colorado Springs, Colorado; and is published after peer review and revision. The discussions that follow this article are based on the originally submitted manuscript and not the revised manuscript. James E. Goodnight Jr, MD, Sacramento, California: In the select group of patients that was addressed here, those patients with operable breast cancer, clinically negative nodes, and who for various reasons are going to undergo PC, in this group it is intellectually satisfying and comfortable practice to perform the sentinel lymph node biopsy before the chemotherapy. One, the axillary staging is clean and unadulterated, as was pointed out. Based on the sentinel lymph nodes being done before the chemotherapy, the surgeon knows just what to do when the patient comes back for the definitive procedure; it's either ALND or not. And then importantly, having done the SLND before the chemotherapy, one doesn't have to argue with the medical or radiation oncologist about the staging approach; the staging is essentially done. So to do anything other than was done in this study simply ties one up in confounding arguments and concerns that are actually somewhat moot in current practice and with current therapy. So why discuss doing anything else? Well, there is the argument that SLND done after PC will show fewer patients with positive nodes and therefore fewer patients will have to undergo ALND. It's a morbid procedure. As an example, in this study, 55 patients had clinically negative lymph nodes. Sentinel lymph node dissection was performed before the chemotherapy. Thirty patients were positive for sentinel lymph nodes and they went on to ALND. But if the SLND was performed after the chemotherapy, and this is where the assumptions come in, potentially 25% of patients would have had a complete pathologic response; 8 patients would be downstaged by the PC. Dr Grube points out the concern that it is harder to do the SLND after chemotherapy. The false-negative rate could be as high as 10%. So if one makes these bold assumptions, there could be 11 patients who are spared ALND. Now, having done that, that's fully 30% of patients who don't have the morbidity of full ALND. But one indeed might have to expect a higher axillary recurrence rate, perhaps as high as 25%. That would be 3 patients in this study. One could salvage 1 or 2 of those patients by salvage therapy, so that the overall impact is 2% to 4% change in survival (at most). So my questions are: Will your practice remain that of SLND before chemotherapy in the patients as you’ve described? Or are you in fact tempted to perform SLND after PC to save approximately 15% to 20% of your patients [a] lymph node dissection? And then a true-or-false question: The issue raised in your study truly becomes important—in other words, worthy of a clinical trial—only if PC begins to yield complete pathological responses of 40% to 50% and then one delays axillary staging by sentinel lymph node biopsy until after PC. Dr Grube: Thank you, Dr Goodnight, for your kind remarks and your very astute observations and the algorithm that you presented. We too are tempted by doing axillary staging after neoadjuvant chemotherapy. If we could avoid doing ALND, we feel as you do. The one major criticism of doing axillary staging after neoadjuvant chemotherapy is really the criticism that was raised to Dr Giuliano1 when he presented the feasibility results in the original lymphatic studies for breast cancer. How does chemotherapy know to kill the non-SNs prior to the SN? That question has not been answered in any of the feasibility studies that have been performed in the studies looking at SLND after neoadjuvant chemotherapy. There are 2 small studies in the literature that have looked at evaluating non-SNs, one by Julian et al25 looking at immunohistochemistry. There is no reference to whether these nodes underwent serial sectioning. The other study is by Cohen et al18 looking at 31 patients who had complete serial sectioning of SNs and non-SNs, and there was a 10% false-negative rate in that group. But what is more important than regional recurrence, is the implication of residual disease in the axilla after neoadjuvant chemotherapy. And we know from the NSABP B-18 trial57 and from the studies from the University of North Carolina reported by Klauber-DeMore et al (Ann Surg Oncol. 2006;13:685-691) that any residual nodal disease, be it microscopic or macroscopic, has a significantly adverse outcome in individuals. This is the group that we want to identify. This is the group that we want to use additional treatment for, and investigators are looking at adding treatment to this population. So we don't want to miss nodal disease. The issue about the trial is a complex one, and most of the cooperative groups have tried to look at how we could use the information that we have already and design a trial. This is a moving target. As our interventions and our chemotherapy become better, as our biologic therapy becomes better and more targeted, we will identify more and more molecular profiles in the tumor itself that will help us identify those individuals who will have a complete response. We see that already with HER-2/neu and the ability to treat a tumor that we at one point thought was an aggressive bad tumor and now we have an excellent drug to treat it.